"Your robot puppy is so sweet," says Skipper. "Can I play your game?" 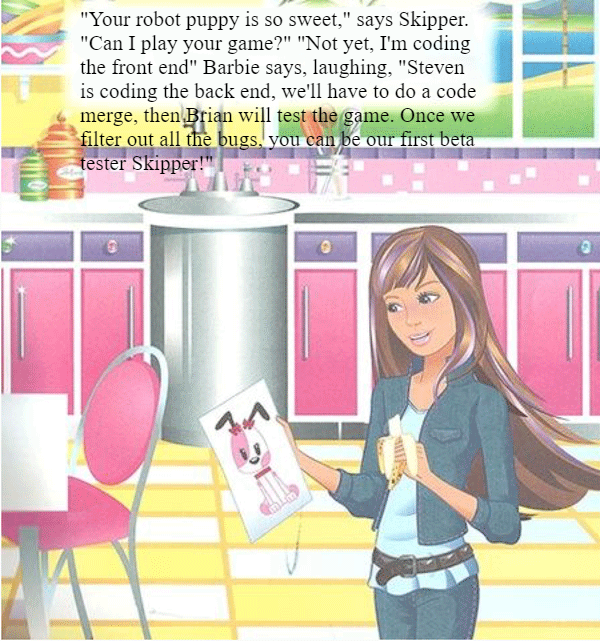 "Not yet, I'm coding the front end" Barbie says, laughing, "Steven is coding the back end, we'll have to do a code merge, then Brian will test the game. Once we filter out all the bugs, you can be our first beta tester Skipper!"